Majestic. Gracious. Lovely. All appropriate adjectives for 22 Craigie Street, but none truly capture the vibrancy of life within. 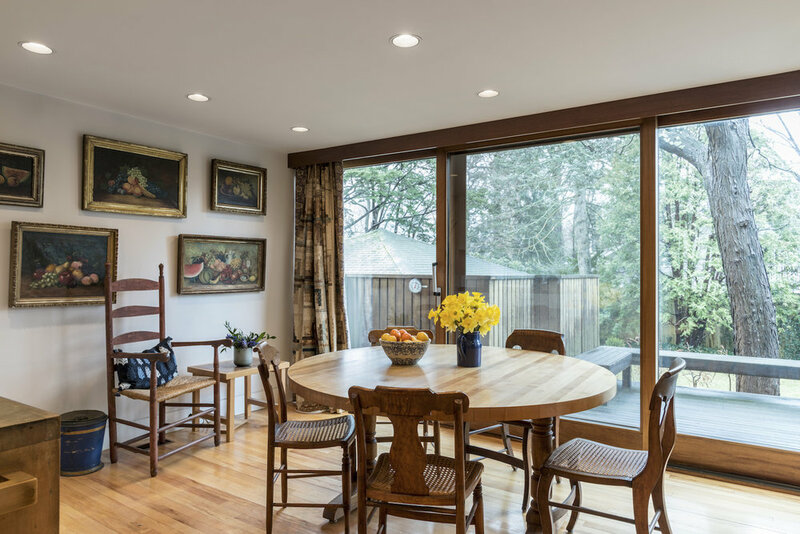 When they bought the house in 1981 the owners knew it needed work, yet it had a beckoning front hall, welcoming spaces for relaxing or entertaining, soaring ceilings, and exquisite light. It also offered plenty of space for their large family. 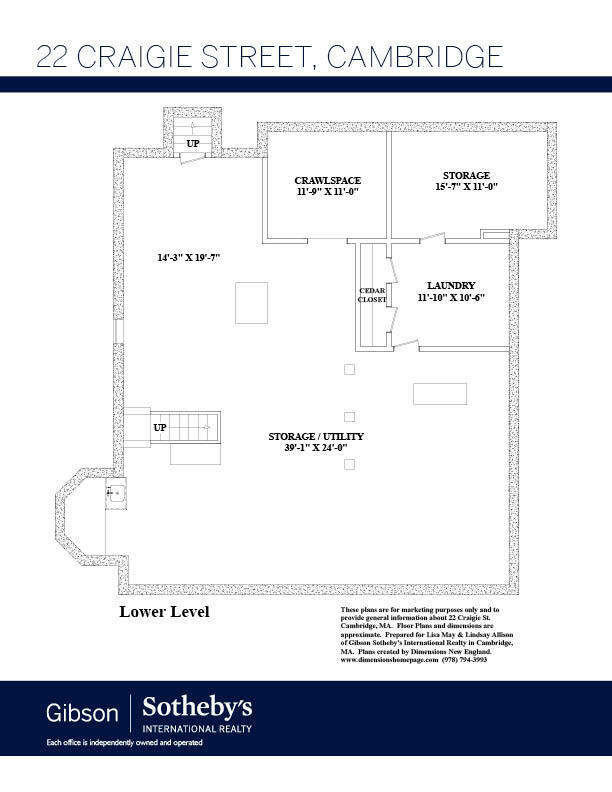 The three older children could happily hang out on the third floor and be close to Harvard Square, while the younger two could be quartered on the second floor. Getting to Shady Hill School in the mornings would be a breeze. 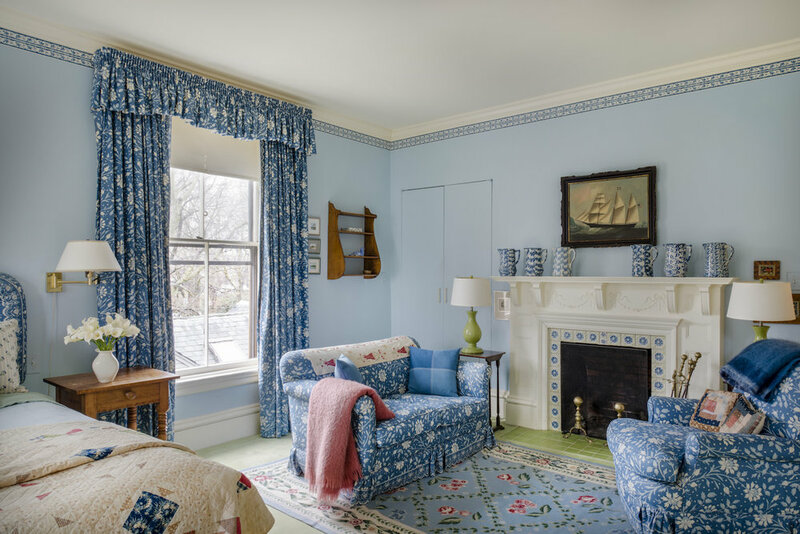 Every member of the family would have their own space – and, most civilized, their own bathroom – while they created a sanctuary for themselves (today we call it a master suite) by connecting and combining rooms. 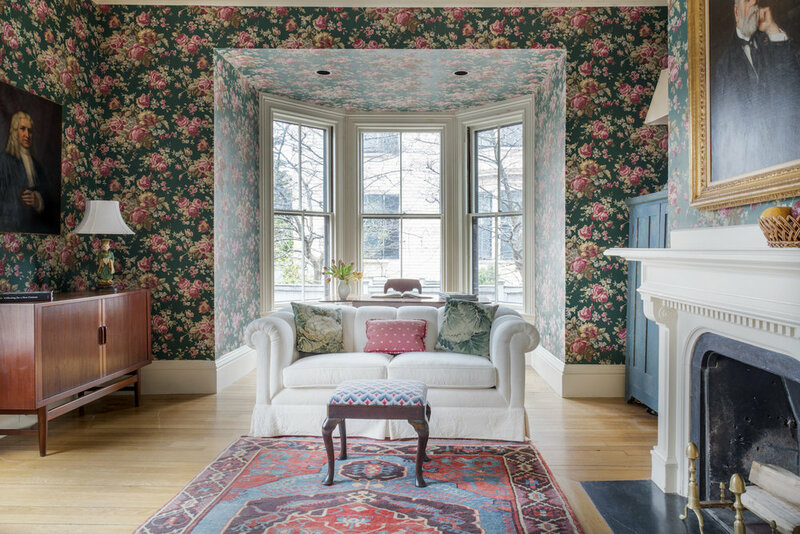 Having previously lived in a grand house in Brookline, they knew just what to do to make it their own. She loves color and beautiful fabric. So she had the walls painted in sunny shades, the outside a bold and beautiful green, hung exquisite curtains, and found a perfect home for every piece of their furniture, even their grand piano. 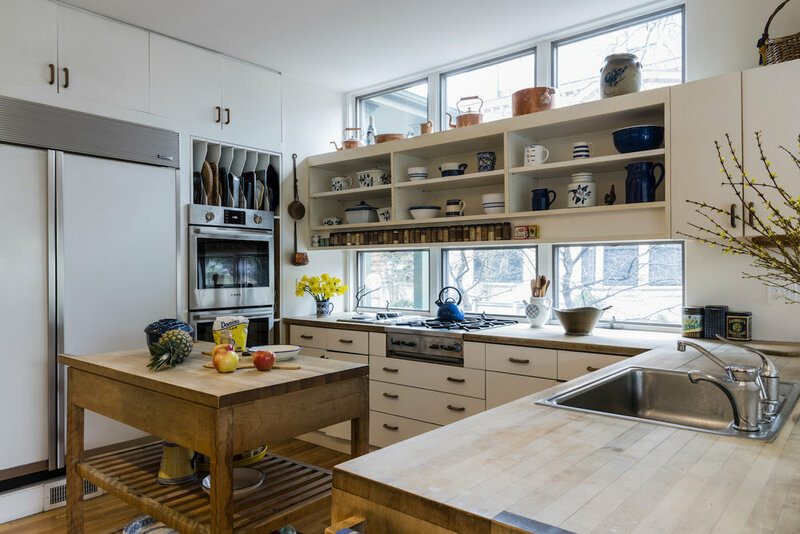 They re-made the kitchen into a cozy and comfortable retreat, with butcher block counters and open shelving. 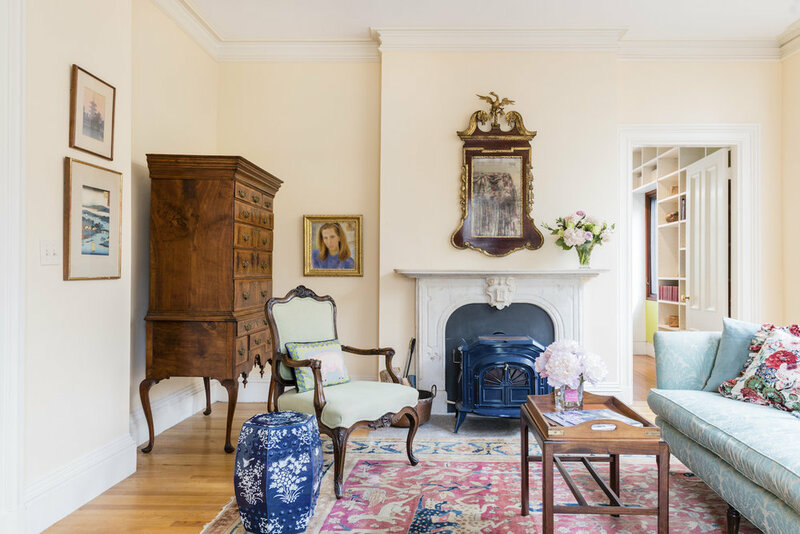 Today, it forms the heart of the house, light and airy, the perfect balance to the more formal rooms on the first floor. Standing at the sink, you can visit with friends and family, look out to the beautiful yard, distract whoever is working at the built-in desk, and enjoy the warmth of the antique stove. As gracious and welcoming as their house, they love to entertain. 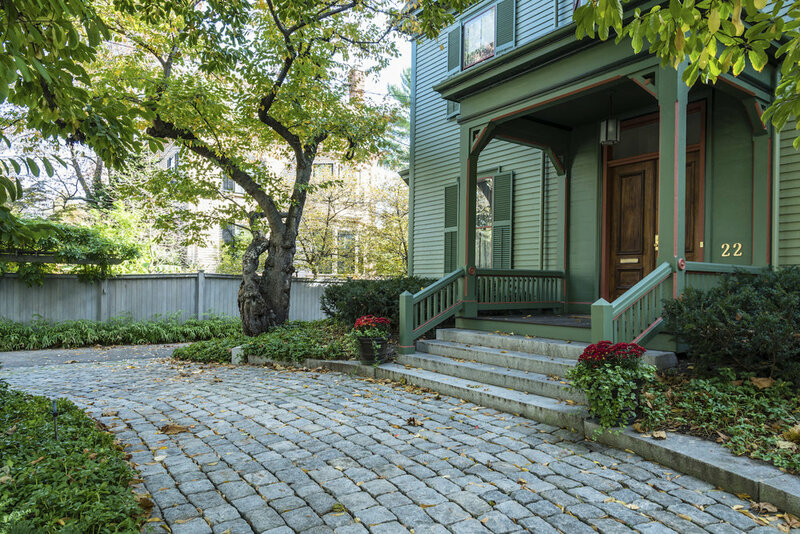 From cocktail parties for friends and neighbors, to holiday dinners for family, to having Young Audiences of Massachusetts concerts in the living room, 22 Craigie Street has hosted them all. Year after year, the neighborhood gathered here on Twelfth Night, finding tables of food and drink beautifully set, fires in the fireplaces, and two lovely hosts to greet them. 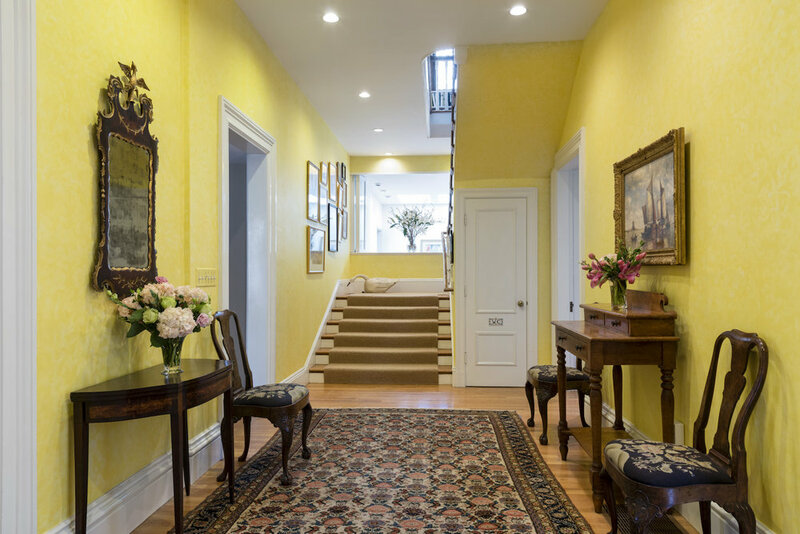 Stand in the front hall and you can almost hear the happy chatter of past gatherings. When Neil Young sings about his guitar, it makes me think of the relationship between home owners and their houses. “This old guitar ain't mine to keep; It's mine to play for a while; This old guitar ain't mine to keep; It's only mine for a while”. Houses have past, present and future lives, and during our time together we care for them, and they for us. 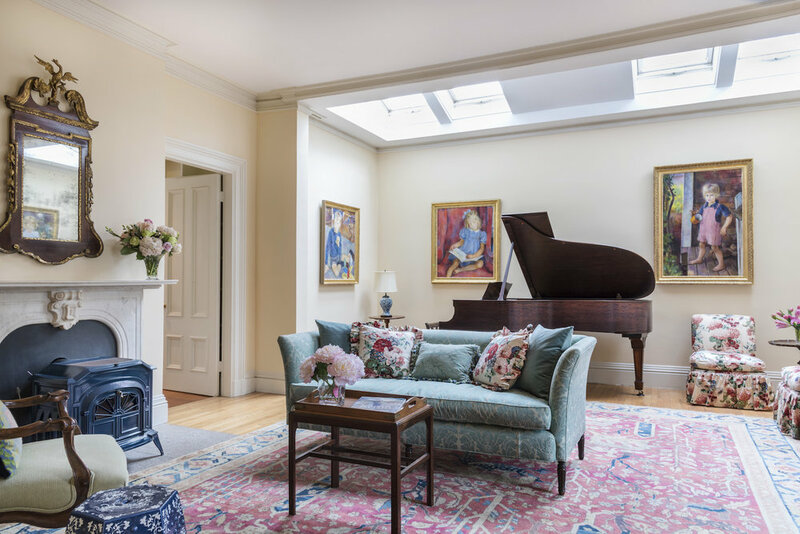 To live in a great house is to be a steward, and as stewards of 22 Craigie Street, the current owners have loved and taken meticulous care of it. 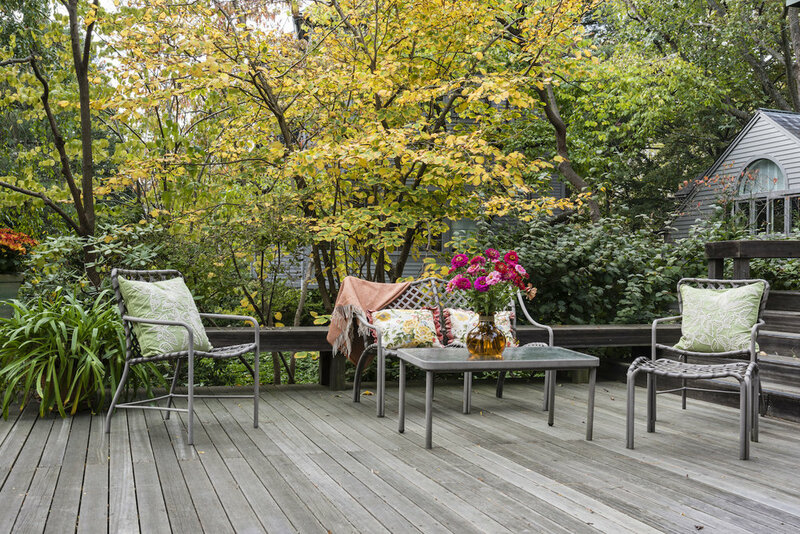 The exterior spaces are as carefully considered as every room inside the house. It connects to the interior via large, south facing glass doors along the rear façade - an inspired addition designed by a local Cambridge architect and family friend – which draw you out to a deck running the entire width of the house, and then on to the exquisitely designed yard and garden. 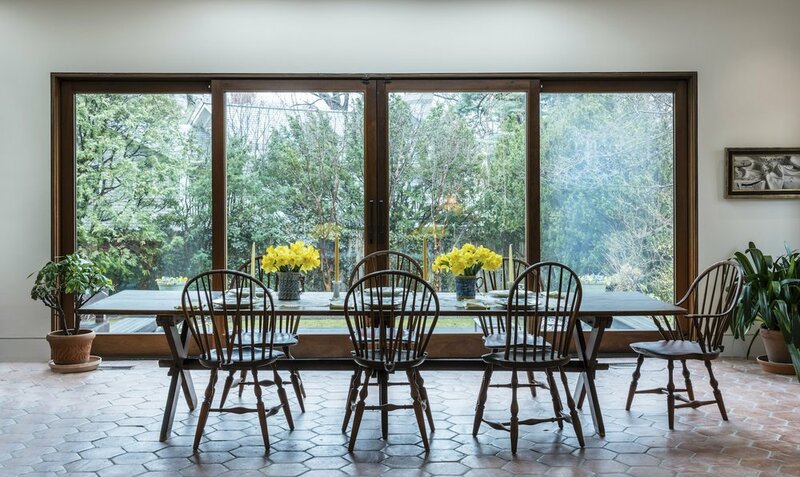 With such a symbiotic connection, the out-of-doors seems a natural extension of the interior of the house. 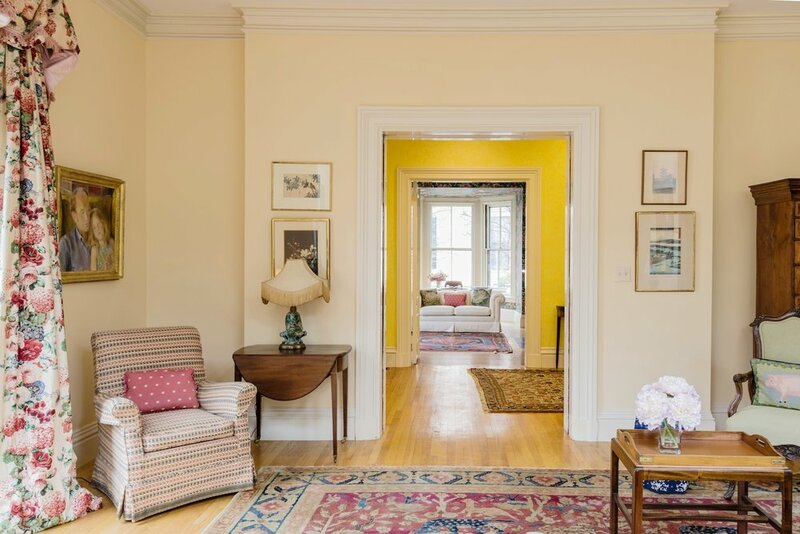 After more than 35 years under the careful watch of its current owners, 22 Craigie Street is ready for its next chapter, rewarding a new steward the opportunity to add another layer of living memories, burnishing once more its patina and storied history. Garage: 1 deed space in two car garage. See disclosures. The driveway and garage are shared with the neighboring property through an easement.